Here we have Pauline Bailey’s show sponsor Scarlet Rose Florist of Kilmarnock. 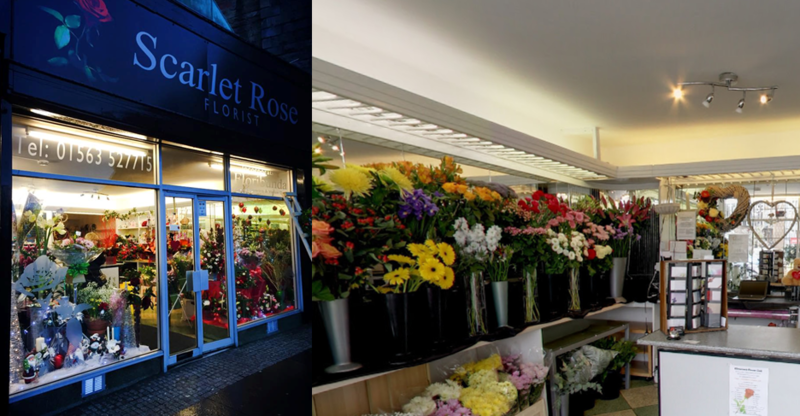 With over 30 years experience in this business and handily located at Portland Street in the town, Scarlet Rose are perfectly placed to provide you with flowers for every occasion. If you want beautiful, hand selected fresh flowers to celebrate, say “thank you”, send congratulations, say “I love you” or to let someone know how sorry you are or that you are thinking of them – then Scarlet Rose will create something personal and special for you that suits the mood perfectly. To find out more about Scarlet Rose Florists, visit their website by clicking here and visit them on facebook here. Listen to our great on air jingle here ….